Many raw food recipes call for cashew milk or another "nut milk" such as raw almond milk. Raw cashew milk is also delicious on its own, as a vegan milk substitute with a breakfast cereal or spiced with a bit of cinnamon and nutmeg. 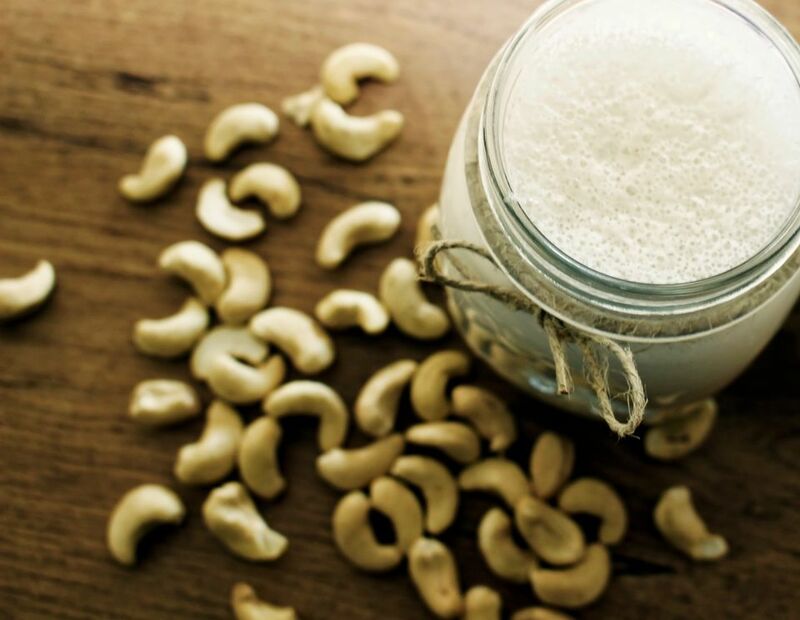 If you'd like to try cashew milk as a non-dairy milk substitute, here's how to make a raw cashew milk, suitable for vegans and also those on a raw food diet. Of all the nut milks, cashew milk is by far my favorite. It's really absolutely delicious. Cover raw cashews with water and allow to soak for at least one hour (more is better, if you can wait a bit a longer!). Place soaked cashews and 2 cups water into a blender or food processor and process until smooth, at least one full minute. Add a dash of raw sweetener, such as agave nectar, to taste. You can use more or less water to vary the thickness of your raw cashew milk, depending on your personal preference, but in general, you want a 1:4 ratio of cashews to water. You may also choose to strain your raw cashew milk, depending on personal preference. Can Agave Syrup Be Used in a Raw Diet?